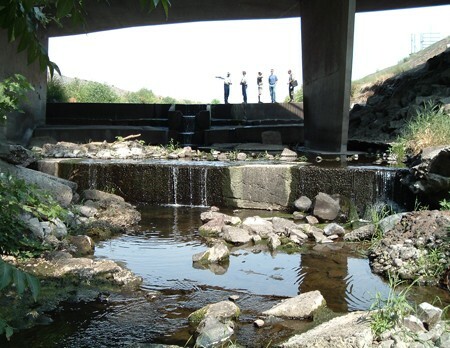 The Gose Street Bridge site was a fish passage barrier limiting access to the Mill Creek drainage which includes 52 miles of stream habitat. At the Gose Street Bridge, the concrete flood-control channel that protects Walla Walla had a steep drop for about 600 feet. During times of low flows, the water was shallow, warm, and moving quickly across a wide, steep channel. WWCCD and the Confederated Tribes of the Umatilla Reservation (CTUIR) worked to design a new system to eliminate the fish barrier. 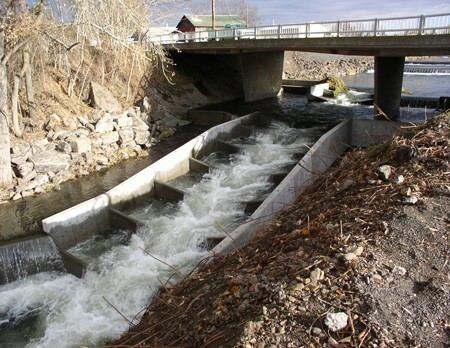 The project consisted of installation of two pool and chute fish ladders, a low-flow channel, and two concrete cross-channel weirs. The next meeting of the district Board of Supervisors will be held at 5 p.m. on Monday, May13th at the district office on 325 N 13th. Walla Walla, WA. We believe that complex environmental problems can be solved through voluntary cooperation rather than by regulatory mandates. We will do this by creating and then implementing proactive programs that respect both the need of landowners and the natural resources of the County.